The idea that life is changing can often be very overwhelming for children. Because of this, they may be reluctant to acknowledge the divorce or separation as real. Parents usually go through a similar process by distancing themselves from or denying the reality of the situation. For some parents, this stage can also manifest itself as shock or disbelief. Choose not to participate in the process. Actively sabotage your partner’s attempts to file for divorce or leave the family home. Emotionally distance yourself from your feelings by engaging in self-destructive behaviors such as using alcohol, food, gambling or overspending. Delay telling children or make up excuses for a parent’s absence or change of residence. Change the subject when you talk about it. Choose not to tell others such as friends, teachers or other family members. Make up excuses for the change in family. Talk about the family as if nothing has changed. 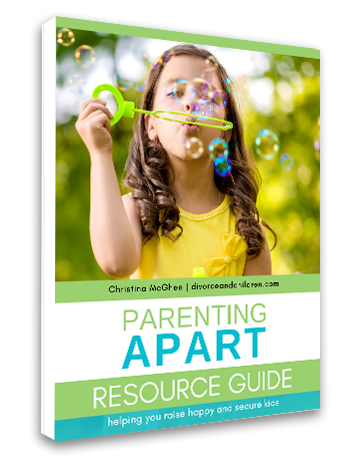 Try to plan events that involve both parents being together. Resist spending time in the other home with their other parent because it makes the situation more real for them. How can you help yourself ? In the early stages, keep life predictable and consistent for you and your children. Avoid making significant changes and maintain regular routines/normal activities as much as possible. Make sure you and your children are getting plenty of rest, eating regularly, exercising and have access to supportive people. Remember, just because your ex wasn’t a good partner doesn’t mean they aren’t a good parent. Regardless of how you feel about each other, it is very important that regular contact with both parents be supported and maintained. Children need the security of knowing that while you may be divorcing each other, you are not divorcing them.